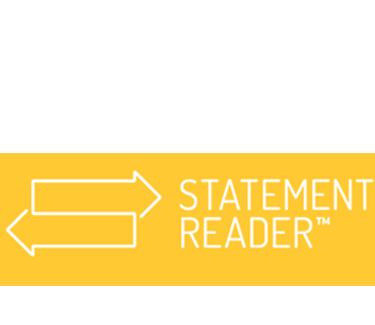 We have developed Statement Reader in-house, and have improved the tool based on the feedback received from our clients across the world. This skill set and experience allows us to work with our clients to give tailored advice on integrating an automated data processing solution that will save time and money . Accuracy – Bank Statement Reader automatically extracts bank account transactions from scanned or searchable PDF documents into a spreadsheet format. Data is checked and validated in Excel, either automatically or manually. Flexibility – Bank templates can be created by the user to allow data to be quickly extracted from a new structure, which does not already have a template. Templates can be saved and reused. Speed – One page could take upto 5 minutes to process manually, but with Bank Statement Reader this could take 3 seconds, a time saving of 99%. The application provides automated checks for effortless identication of errors, if they occur. Security – Bank Statement Reader authenticates users, updates new templates and analyses the user’s data offline. The application can be configured to allow multiple users to share templates and updates within the local network. Reduced risk – Data can be extracted from multiple bank statements, and analysed together, in one customisable Excel report. This report can summarises monthly credits and debits, bounced cheques, recurring payments and closing balances in a standardized report that suits your needs.